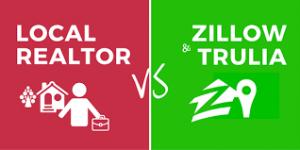 Can You Trust Zillow Home Price Zestimate in Connecticut ? How is the zestimate calculated? Additionally, realtors will consider whether it is a buyer’s or seller’s market. If you want to create a frenzy with a lot of eyes on your property in a seller’s market, you can under price the home and let the bidding begin. This tactic works in many markets including Connecticut . You can use check out Trulia for home pricing. You can also get an appraisal done along with an inspection which will help your potential buyers. How much does it cost to get an appraisal on a house in Connecticut? On average, the cost of a home appraisal on a single-family home ranges between$300 and $400. The price for an appraisal on a multi-family building starts around$600, but can increase depending on the size of the property. how much is a home inspection in ct? The average home inspection costs around $315, with condos and small homes under 1,000 sq ft. costing as little as $200. Larger homes over 2,000 sq ft. will run$400 or more. Radon or mold testing will cost extra, but will typically cost less if you purchase them with a home inspection. IF YOU ARE LOOKING FOR A FAST WAY TO SELL YOUR HOME, GIVE US A CALL AT (203)-513-9672 OR FILL OUT OUR ONLINE FORM TODAY!